Welcome to Technology Ventures Inc.
Technology Ventures Inc. (TVI) was started in 1992 and since that time been recognized as one of the fastest growing small business by Inc. 500. We are a small business that recognized the need for fast, efficient and helpful logistics. We have streamlined our processes in order to help all companies, large and small, save on their logistics. 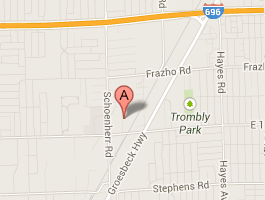 Our warehouse is located in Warren, MI with easy access to all major highways and airports. Technology Ventures, Inc. has positioned itself as a leader and has one of the only public Foreign Trade Zones in the area. In addition TVI Logistics can handle warehousing, storage, fulfillment, distribution, freight forwarding, light assembly and kitting. We will work with you to streamline and give your company the competitive edge in the marketplace.